I'm an associate research scientist based within Columbia University's International Research Institute for Climate and Society. My current research focuses on how rainfall is measured and used, especially for agricultural planning, index insurance and humanitarian operations. 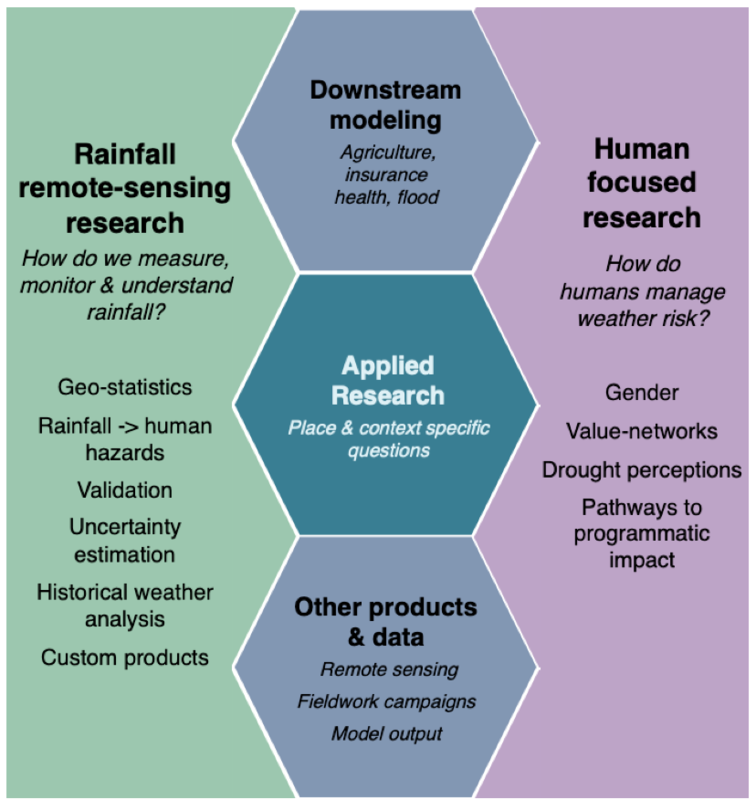 This ranges from research on rainfall statistics and satellite estimates of rainfall, to index design and basis risk assessment, to business analysis of insurance systems, to research on the impact of insurance on social equity. More recently, I've been working closely with different NGOs on their weather disaster response and monitoring. See here for my research and projects. I work closely with insurers, reinsurers, agricultural companies, policy makers, NGOs, businesses and other scientists, and very much enjoy bridging the gaps between the different groups. When I'm not working, I love cooking, gardening, Welsh rugby and books, and I can often be found telling tall tales over a BBQ and a bottle of wine.